Mining giant Anglo American, owner of De Beers Group and a vast portfolio of precious and base metal mining operations, has today announced its interim financial results for H1 2014, with its De Beers Group operation reporting a 34% in operating profit and its platinum mining operations losing $1 million (£588,800). In total, Anglo American’s underlying earnings for the first half of the year were $1.3 billion (£765m), 3% higher than for the same period in 2013, with an underlying operating profit of $2.9 billion (£1.71bn), a 10% decrease from $3.3 billion (£1.94bn) [recorded last year]. 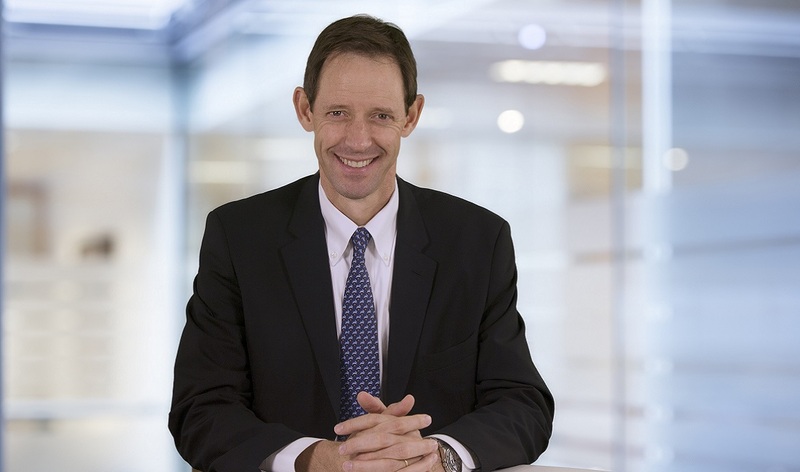 De Beers recorded underlying operating profit of US$765 million (£450m), an increase of 34%. The increase was primarily due to solid demand across key markets, resulting in strong revenue growth, together with favourable exchange rate trends. De Beers’ production increased by 12% to 16 million carats, following a strong performance at its Debswana and South African operations. This rise in output reflected improvements in productivity and the business’s ability to cope with adverse weather conditions, together with the recovery from the impacts in 2013 of the Jwaneng slope failure clean-up and Orapa’s planned plant maintenance. According to the results, De Beers’ rough diamond demand was robust, reflecting a positive outlook for polished diamonds in De Beers’ key markets of the US, China and India. This contrasted with the first half of 2013, when encouraging growth in the US was not matched in India (where demand was weak). Stronger year-on-year consumer demand between Thanksgiving and Chinese New Year – the key selling season – resulted in higher levels of retailer restocking during the first half of 2014 than in the same period last year. These factors contributed to the strong sales performance, with total sales up by 15% to $3.8 billion (£2.2bn), while rough diamond sales were also 15% higher at $3.5 billion (£2.1bn). Higher rough diamond revenue was driven by an increase in sales volumes net of slightly lower realised prices (4% lower). De Beers’ average price index in H1 2014 was 4% higher than in H1 2013 with this being offset by a marginally lower product mix. The seasonal nature of polished diamond consumption means that De Beers’ annual performance is generally more heavily weighted towards the first six months, reflecting normal restocking by midstream diamantaires after the key selling season. While stocking levels increase as the end of the year approaches, this is offset by manufacturing slowdowns that typically impact upon rough demand in the second half. It is expected that this trend will continue this year. As consumers’ preference for branded products increases, De Beers reports that it will continue to position its Forevermark and De Beers Jewellers brands in major consumer markets across the world. According to today’s report, Forevermark continues to grow strongly, particularly in the core markets of China, Japan, India and the US. In May, Forevermark was launched in Turkey and this month plans were announced to make the brand available in the UK and Ireland. The brand is now available in more than 1,400 authorised jewellery stores in 29 countries, an increase of more than 30% on the same point in 2013. More than one million diamonds have now received a unique Forevermark inscription since the brand’s launch in 2008. 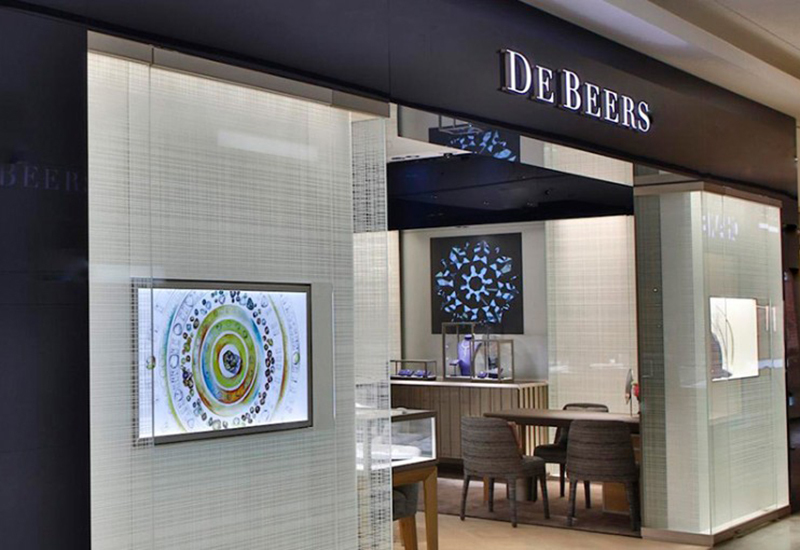 De Beers Jewellers had healthy like-for-like sales growth, having restructured its portfolio of stores to focus on fast-growing markets – particularly in Asia. Sales continue to be boosted by its Chinese clientele, both in Asia and in other luxury shopping destinations around the world. 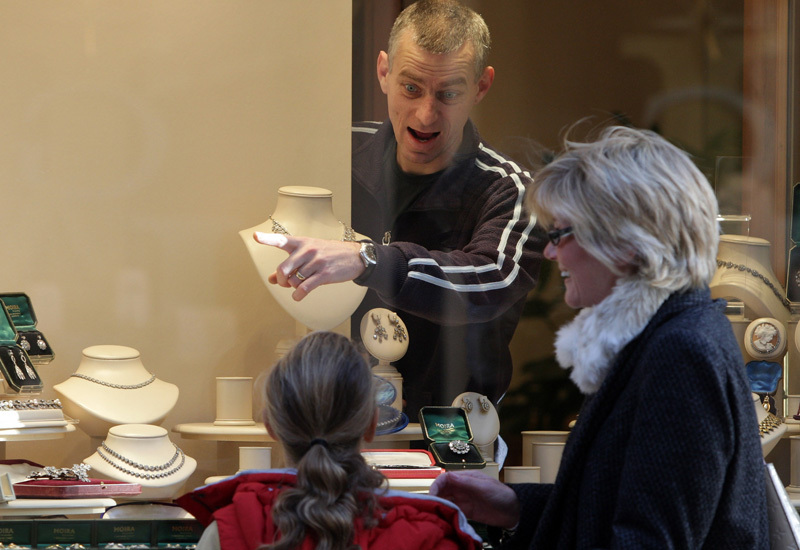 The report states De Beers expects continued growth in diamond jewellery demand across its key markets in 2014, driven primarily by the US and China. Other markets are also projected to show growth in local currency this year, with final dollar-equivalent demand levels partly dependent on currency fluctuations. 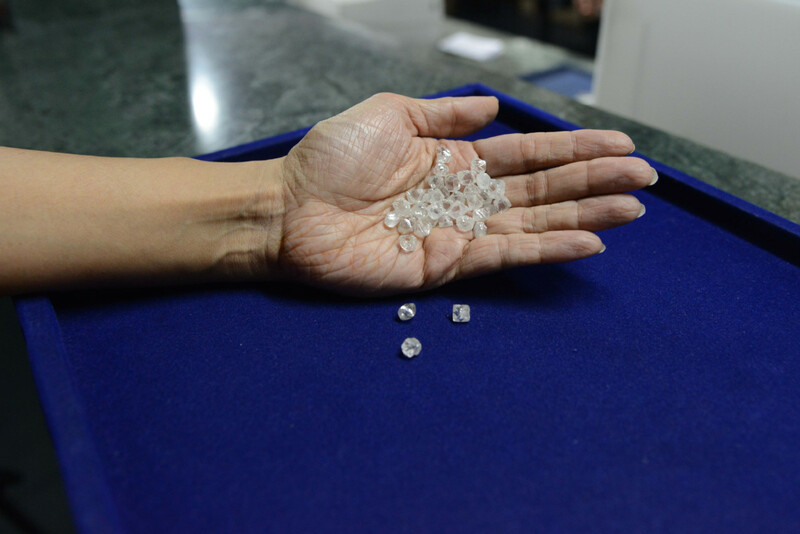 In India, recent parliamentary elections have resulted in improved economic confidence, which is expected to impact positively on both activity in the country’s cutting centres and on rough diamond demand generally. 2014 production guidance has been increased to 31 to 32 million carats (previously 30 to 32 million carats). Anglo American Platinum recorded an underlying operating loss of $1 million (£589,000) during the financial period, compared to an underlying operating profit of $187 million (£110m) in the first half of 2013. This performance reflected significantly lower production owing to the effects of the five-month industrial action by the Association of Mineworkers and Construction Union (AMCU) at the Rustenburg, Union and Amandelbult operations. Although operating costs savings were implemented at strike-affected operations, costs of approximately $400 million (£236m) were incurred at these mines during the strike period, with a consequent negative impact on Anglo American’s platinum’s earnings. Refined platinum sales decreased by 3% to 1.04 million ounces (H1 2013: 1.07 million ounces). Sales exceeded refined production as refined inventory was drawn down owing to the strike action. The average dollar basket price achieved increased by 2% to $2,474 (£1,456) per ounce (H1 2013: $2,416 per ounce). Cash operating costs per equivalent refined platinum ounce of R27,810 (£1,554) were severely impacted by the industrial action. After adjusting for the strike, the cash operating cost of approximately R18,000 (£1,006) increased by 5%, from the cash costs of R17,053 (£953) per ounce achieved for the full year in 2013. Global demand for platinum this year has been driven by growth in autocatalyst, industrial and jewellery demand, which exceeds the decline in investment demand and growth in recycle supply. Indications for the first six months of 2014 are that pent-up demand for vehicles in Europe and global industrial demand are translating into higher platinum consumption. Jewellery demand remains strong at current depressed price levels and investment demand growth exceeded expectations. The platinum price continued to trade at a higher level than the gold price in the first half of 2014, although demand for platinum jewellery increased, particularly in China. Despite the five month industrial action, coupled with early signs of increased vehicle sales in Europe, the platinum price was flat during the first half of 2014. This was driven by platinum supply being adequate to meet demand due to sales by South African producers from refined working inventories and a draw down from above ground stocks. Contractual supply to customers was uninterrupted. Palladium demand remained firm, dominated by continued growth in demand for gasoline vehicles in developing markets and supported by the launch of two South African ETFs in 2014. 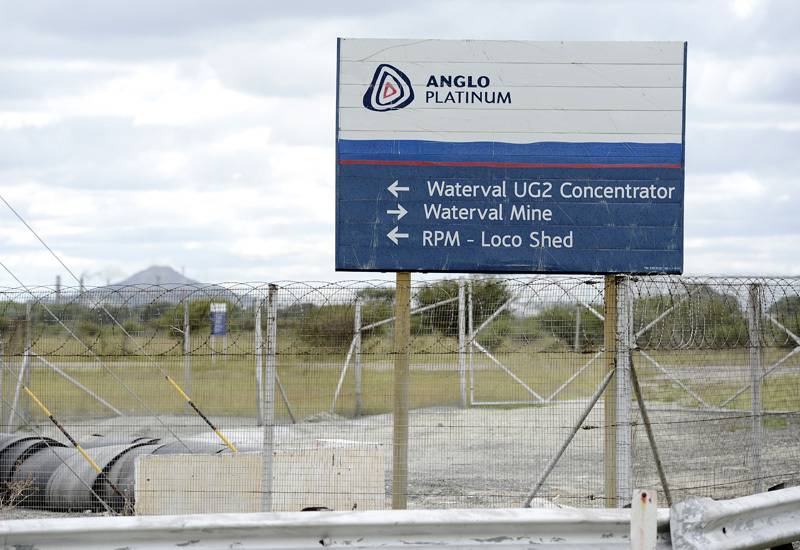 It is understood that Anglo American is putting four platinum mines and possibly two joint ventures up for sale in South Africa at its Anglo American Platinum unit. Anglo American’s underlying earnings for the first half of 2014 were $1.3 billion (£765m), 3% higher than for the same period in 2013, with an underlying operating profit of $2.9 billion (£1.71bn), a 10% decrease from $3.3 billion (£1.94bn) [recorded last year]. Continuing weak global economic growth, coupled with increases in seaborne commodity supply, led to a further decline in many commodity prices. The lower price environment and platinum strike impact more than offset currency gains and improved business performance. Generally lower realised prices of commodities resulted in a reduction of $1.0 billion in underlying operating profit. Anglo American chief executive Mark Cutifani said: “Anglo American’s improved business performance, assisted by depreciating producer currencies, partially offset the headwinds of input cost inflation, the effect of the platinum strike and lower prices, primarily in bulk commodities. This performance underlines the merits of our business strategy of commodity and geographic diversification. 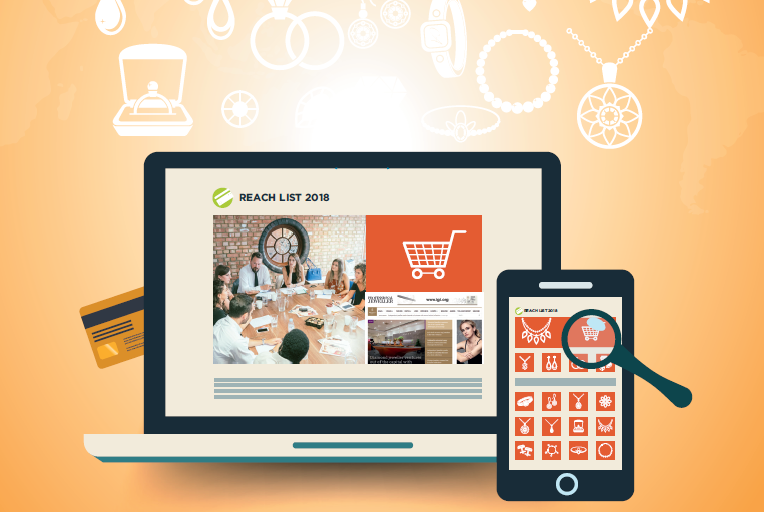 “Looking at our allocation of capital across the portfolio, we have resolved to refocus on those assets that offer us the greatest source of potential value – over the short and long term – and that best match our chosen areas of focus and skills to drive returns. In Platinum, we have already outlined plans to reposition the portfolio through the planned divestment of Rustenburg and Union mines and our interest in the Pandora JV operation. "We plan to divest a number of other assets at the appropriate time and to redeploy that capital to support our drive for higher returns. I expect our divestments and improved business performance to support a long term net debt target of US$10 to $12 billion." Focusing on safety at its various mining operations, Cutifani added: "Safety is the clearest indicator of how we are managing the business and is always my first priority. We recorded the first quarter of 2014 with no loss of life and this positive trend in safety performance is continuing, with the key indicators all showing improvement. Our total recordable case frequency rate of 0.74 is a 31% improvement compared to FY 2013 and the lowest level ever achieved by Anglo American, while recognising that the Platinum strike did contribute to some of the safety improvements. "We have made progress but it is unacceptable that three of our people have lost their lives in the first six months of this year and that others suffered injury. We are focused on five key areas which are characteristic of effective and sustainable safety management: leadership, planning, risk management, incident management and effective frontline supervision. “Looking at the operational improvements in more detail … De Beers continued its upward performance trajectory, increasing output by 12% driven by stronger production performance and sales into rising demand. “As we look at the global economic outlook, uncertainty is likely to persist for the balance of 2014, though there are some encouraging signs that activity is strengthening in our key markets. Our diversified portfolio positions us well for the potential significant further urbanisation and industrialisation required to support growth in China and other emerging economies, while an expanding middle class is expected to support a rising intensity of consumption for our late cycle products. Over the long term, we expect new supply to be constrained and to see tightening market fundamentals and a recovery in price performance." To view Anglo American’s Interim Report in full, click here.